Over the next few months we will be following two M Club members on their journey to fitness and weight loss. This week we’d like to introduce you to Roy Fox. 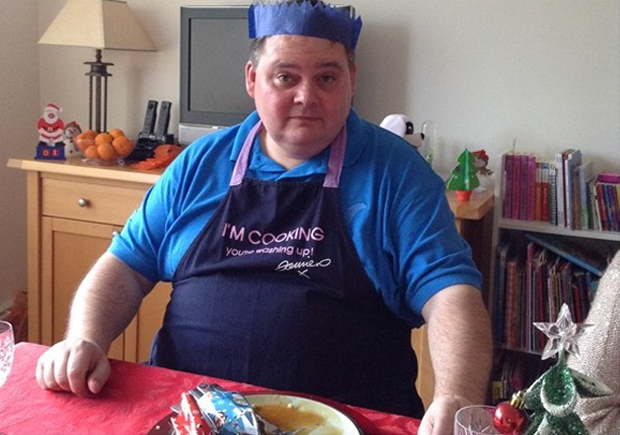 Dad-of-two Roy Fox is on a mission to not only lose weight but to have a healthier lifestyle. “I can say with authority, there are usually one or two things that happen that provide the motivational force required to make a life changing decision,” says Roy. “Losing weight, especially when you are on the large side, like myself, is relatively easy. Cut back on food and drink and weight will fall away. Roy reaching a turning point while on holiday in Florida with his wife and two young daughters. “We went onto the Harry Potter ride at Universal Studios. As I sat in the car waiting for the ride to start, it became clear that the safety bar that drops over your head and fastens between your legs wasn’t going to close over me. “I was asked to leave the ride. I slunk away and felt pretty miserable about it. “When we got back to the UK my wife showed me a magazine article about a guy of a similar age and weight to myself who had shed six stones in weight. “He looked fantastic and it actually started me thinking very seriously about how I could do the same. “The final piece to the life changing jigsaw was on a lovely Friday afternoon. The sun was shining and my two young girls were bouncing on the trampoline in the garden. “I can still remember saying to my wife that I would love to go outside and have a bounce on that trampoline with those two. Then I thought to myself that if I lost weight then I probably could. “It was literally that trigger that made me pick up the phone that very afternoon and call M Club. “I made an appointment to go to the club and take a tour. To be totally honest, I wasn’t completely sure the gym environment was something I would like, after all, I was a 24-and-a-half stone guy. “Getting shorts and T-shirts on and mixing it up with lycra clad gym bunnies was quite intimidating. * We will be following Roy’s progress over the next few months.